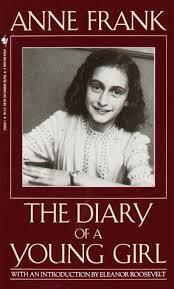 Home › Copyright › The Diary of Anne Frank – Can it be protected past January 2016? The Diary of Anne Frank – Can it be protected past January 2016? The Diary of Anne Frank is a well-known book that Anne Frank wrote whilst in hiding from the Nazis in a house at Prinsengracht 263, Amsterdam. It is an important eye witness account of the Second World War from the perspective of a teenager. Anne was caught, transported to Bergen Belsen where she died in March 1945, a month before the camp was liberated by the British. Her father, Frank, found the diary and published it. It has been translated into many languages and is very widely read. The copyright is owned by the Anne Frank Trust, an organization that Anne Frank’s father founded. It will, however, enter the public domain in January 2016. The Anne Frank Trust has applied for trademark protection for “Het Dagboek van Anne Frank” (“The Diary of Anne Frank”) and “Het Achterhuis” – The Hiding Place, also known as the secret annex. The Benelux Office for Intellectual Property (BOIP refused to register the word marks for goods and services in Classes 9, 16, 39 and 41 on grounds that the phrases do not have sufficient distinctiveness to qualify as trademarks. They will not be understood by the public as a sign that the goods and services of a certain company can be distinguished from those of others. The BOIP also held that “Het Dagboek van Anne Frank” and “Het Achterhuis” describe the content of the films, books and plays which will be published under these trademarks. The trust appealed, but was unsuccessful. In a similar argument to that of the BOIP, the Court of Appeal felt that the marks lacked sufficient distinctiveness because they “described” the content. The diaries should enter the public domain. This is why copyright has a limited period of protection. The Dutch Parliament could pass a special law, similar to the Peter Pan Amendment to UK copyright law, which keeps J. M Barrie’s protected since royalties were donated to the Great Ormond Street Hospital by the Peter Pan Bequest. When the copyright originally expired at the end of 1987, 50 years after Barrie’s death, the UK government granted the hospital a perpetual right to collect royalties for public performances, commercial publication, or other communications to the public of the work. The provisions of Schedule 6 have effect for conferring on trustees for the benefit of the Hospital for Sick Children, Great Ormond Street, London, a right to a royalty in respect of the public performance, commercial publication [F1or communication to the public] of the play “Peter Pan” by Sir James Matthew Barrie, or of any adaptation of that work, notwithstanding that copyright in the work expired on 31st December 1987. The UK copyright was subsequently extended through 2007 by a European Union directive in 1996 standardising terms throughout the EU to the author’s life plus 70 years. The Dutch and British cannot make exceptions and expect the rest of the world to follow suit. The problem with lex specialis, no matter what the justification is that it is, just that: a special law. I am not a great fan of using trademarks to extend copyright either. Presumably if the Anne Frank trust use the term Anne Frank or the Diary of Anne Frank in trade, they can have rights to the mark. In all, a reasonable decision. Together » Blog Archive » When Will Anne Frank Enter the Public Domain?